Logitech and Spotify have announced a new streaming deal, which sees the music service ported on to the peripheral brand's Squeezebox devices. Much like the deal with Sonos, Spotify is now available through myriad Logitech products, namely the Squeezebox and Squeezebox Touch. Currently the service is in beta but is in full working order, so you can sort through the 10 million tracks on offer until your ears bleed. As is the way with Spotify, you need to be on a premium account to access Spotify through an app, which does cost. For this you do get 320kbps of sound quality, access to the service on your mobile phone and other such premium gubbins. Logitech on Sonos is "a delight to use" according to TechRadar's review and has truly given users another reason to buy up the streaming devices – Logitech will be hoping that it too gets the Spotify effect. To access the app, go to http://www.mysqueezebox.com/index/Home. 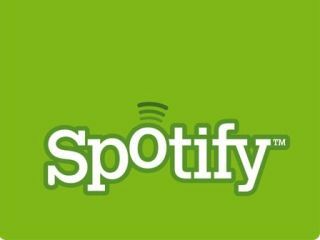 If you want to learn a little bit more about the service, then head over to www.mysqueezebox.com/spotify.